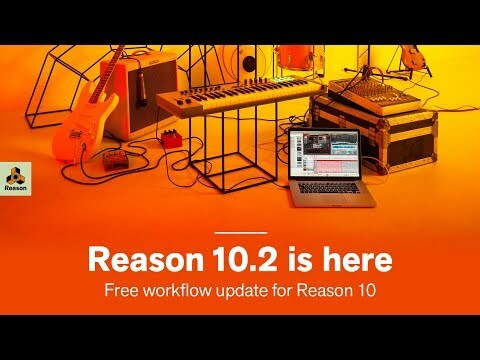 Reason 10 is the biggest update to the extremely popular Reason DAW – ever. New synths, instruments, samples and more take Reason 10 soari..
Reason 10 is the biggest update to the extremely popular Reason DAW – ever. New synths, instruments, samples and more take Reason 10 soaring to new heights. Please Note: If you own Reason Intro Essentials, Reason Limited or Reason Adapted, you should buy the Reason for Intro / Limited / Adapted / Essentials Upgrade. For the month of March, the Reason 10 Update is available at a special price. Normally worth £109, you can buy Reason 10 at Professional Music Technology for just £89! Reason 10.2 will be arriving on September 26th as a free update to Reason 10, adding some great new functionality to the already stellar music creation software.